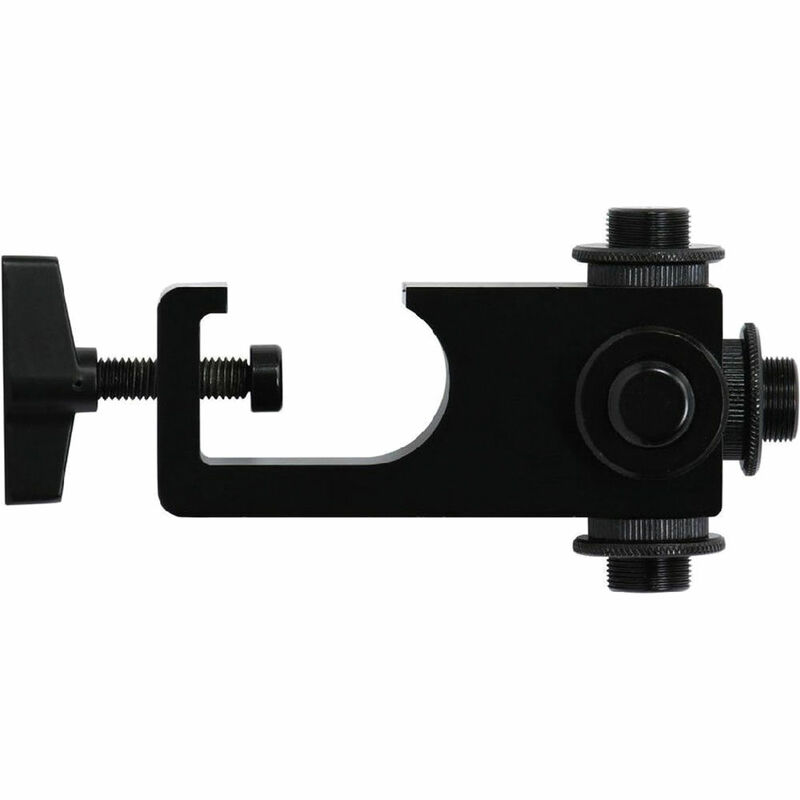 Box Dimensions (LxWxH) 5.2 x 2.4 x 0.7"
Press Conference Bar Multi Microphone Accessory Adapter for .85" to 1.18" Microphone Stand is rated 3.0 out of 5 by 1. Rated 3 out of 5 by Trey from Useful but with caveats All of the 5/8" connectors screw into the main block and they can come unscrewed and fall out. You need to remove them, put in a drop of super glue, then screw them back in. This should have been done at the factory.